How do you determine if your car is totaled? You love your car. It has personality and it’s comfortable. It handles exceptionally well, the sound system is great, and you’ve made it feel like an extension of your home. It’s more than a possession; it’s almost like a friend. You’re thinking about how great your ride is as you drive home from work. All of a sudden, a drunk driver blows a stop sign, t-bones your beloved auto, and sends you into oncoming traffic, where you’re hit again. You’re hurt, and your car has suffered extensive damage. You know you’ll be fixed by a medical professional and soon be back on your feet, but what about the car? How does an insurance company decide if a wrecked automobile is worth replacing? After a crash, assuming your car has suffered too much damage to drive away, it will be towed to a nearby garage, either by you, or by the responding police. 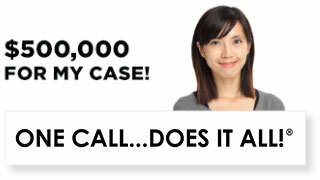 It’s best to contact one of the Los Angeles car accident lawyers with Ellis Law as soon as you are able. A trained mechanic will take a look at your car and come up with an estimated cost of repair. Take that estimated figure and add how much you could get for selling it as scrap. If that amount is more than the value of the car in the first place, your car is a total loss. If the price of repairs is considerably lower than the price of replacing the car (minus what you’d get for scrapping it), then your ride is not totaled. Depending on the type and age of car, looks can be deceiving. An old, imported car might look relatively savable, but there might be a very expensive part that costs a fortune to replace. On the other end of the spectrum, a newer, popular car may have extensive cosmetic body damage, but can be easily fixed for a reasonable price. If you’re hurt in an accident, you’ll probably have to deal with insurance companies, other drivers, and sometimes even police. Schedule a free and confidential consultation with a personal injury lawyer from Ellis Law today. We’ll help you reconstruct the details that led up to your crash. We can direct you to a trusted physician who can properly assess your current and future medical needs, and we’ll keep a running total of car repair costs and missed paychecks. If you’ve been injured due to someone else’s negligence, you may be able to seek damages. The only way to find out for sure is to meet with a professional. If you’re too hurt to travel to our offices, do not despair. We’ll gladly make a time to visit you at your home or care facility. 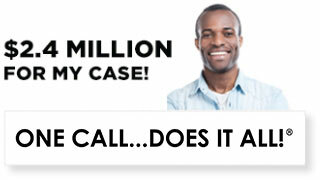 Hiring a lawyer in the Southern California area can be very expensive. At Ellis Law, we believe the good people of Los Angeles deserve excellent legal representation whether they can afford an attorney out of pocket or not. 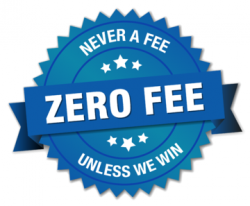 To this end, our partners work on contingency fees. This means we don’t get paid unless we secure damages for you. Meet with a legal expert from our firm, and if we decide you have a case, we’ll get to work right away. In the unlikely event you should lose your case, you won’t owe us a thing. There is no risk whatsoever to meeting with a personal injury lawyer from Ellis Law. Let us fight tirelessly to get you the justice you deserve. Founded over 25 years ago, by Army vet and Loyola Law grad Andrew Ellis, we’ve earned a reputation for getting results. 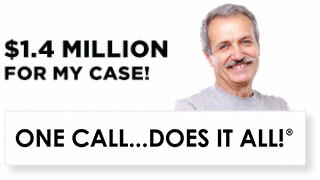 We have secured over $350 million in damages for people just like you, and it’s a number that continues to grow. 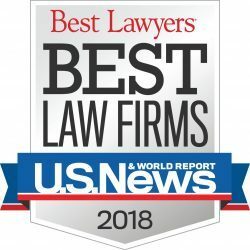 Because of our impressive track record and a high client satisfaction rating, U.S. News and World Report has named Ellis Law the #1 personal injury firm in the Los Angeles metro region. Meet with an attorney from our firm today, and find out what we can do for you. Our team is standing by 24/7 to hear your side of the story.